Have you ever tried searching for the best WordPress themes for wedding photographers? The results are kinda sad. You’ll get pages of results that have roundups of free themes, outdated themes, complicated themes. Themes for landscape photographers, fashion photographers, and pretty much every other kind of photographer you can think of. lol. What you won’t find right away are simple lists of the BEST themes for serious, professional, wedding photographers. So I’m here to write that list for you for 2016. I’ll start off with my favorite 4 themes, as well as 2 themes that I think you should avoid like the plague. Then I’ll let you make your suggestions in the comments, and I’ll keep the list updated and fresh. Bookmark this page if you’ll be building a WordPress site for your wedding photography business any time in 2016! If you want to make sure you get updated when I find new amazing themes, tools, and marketing tips, click here! Disclosure: some links in this article may be affiliate links. That means I’ll get a small commission if you purchase them after clicking through from my site. It won’t cost you anything extra, and it will help me keep bringing you helpful content! Please know that I do not recommend any products I don’t believe in, the compensation simply isn’t worth it. Please do your own research or ask me any questions you have before making any purchasing decisions! Both of my top two picks are actually more like frameworks. They allow you to do pretty much anything you can imagine, but if you’re not a coder, you’ll probably need a child theme. No worries, I’ll give you a few child theme options for each! Divi is currently my absolute favorite WordPress theme. I pretty much love everything that ElegantThemes is doing, and they keep making Divi better and better! I haven’t found much of anything that can’t be done with Divi, and there is an amazing community online in several Facebook groups, forums and personal websites. The biggest weakness with Divi is the out-of-the-box blog options. While its completely possible to make your blog look however you want, the default blog pages are kinda bland. Even so, the blog is still responsive and simple, and there are some great plugins that extend the blog design functionality. Here are just a COUPLE of examples of what you could do with Divi. The possibilities are literally endless. Speaking of which, Divi always comes with an unlimited site license. You can install it on as many sites as you own! Bonus: Pretty much all of the sites I build are on Divi. So when I write tips, tutorials, and recommend plugins and tools, I’ll have specific and tested answers for anyone who is using Divi. If you just need someone to tell you what to use, I’m telling you now, use Divi. If you’re wondering what license you should purchase, I recommend the Lifetime Access if you know that you’ll be using it forever. The updates I’ve seen so far since I set up my wedding photography site on Divi have been incredible. I believe that Elegant Themes will continue to produce products that lead the market for years to come. If you’re unsure and just want to test it out, just get the personal license and upgrade later! That being said, the next theme on the list is a close second (although I don’t have as much personal experience). I can’t tell you how many times I’ve researched the best overall WordPress themes. I’ve asked everyone, I’ve dissected sites, I’ve talked with developers and designers and everyone in between. It is very rare that Genesis doesn’t come up in one of those conversations. Genesis has the reputation as one of the most well built and stable themes available for WordPress. What does that mean for you? Speed. Security. Responsiveness. 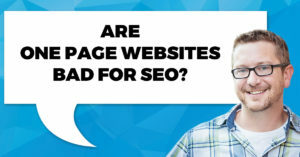 SEO. It JUST WORKS. Genesis is also a framework, and you’ll need a child theme to go along with it. If Genesis has a weakness, it would be that its slightly more confusing to set up. But don’t let that stop you. There are plenty of amazing child themes to get you going quickly. Flothemes is a company that sells modern, elegant WordPress themes for photographers. If your style is clean, simple, minimalistic, bright and beautiful, you should check them out! Honestly, I don’t really have alot more to say about Flothemes. Go look at their website and you’ll know if they are for you. They are a little more on the expensive side considering the licensing, and they don’t allow quite as much future flexibility, but they sure have some beautiful themes! I had to include my favorite theme on Themeforest. Hemlock is not built specifically for wedding photographers, but it is perfect for anyone who is primarily blogging. The one downside is that it doesn’t really have great options for making a beautiful scrolling home page (besides the blog), if that is something you want. I’ve looked at pretty much every Themeforest theme available, and this one always stands out to me! Far to often I download themes from Themeforest and I’m quickly overwhelmed with all the options and take 3 weeks trying to make my site look like the demo. Hemlock is much more straightforward and its quite easy to set up! AND its less than $40!! Keep in mind that is only for one site license, but if you’re only setting up one site, thats a great deal! Want a super ninja hack? You could purchase the Hemlock theme, then combine it with the Divi Builder Plugin to get even more flexibility and design options. I haven’t tried this yet, but its on my list of things to try soon! If you want to make sure you get updated when I add new amazing themes, tools, and marketing tips, click here! There are two VERY popular WordPress themes for Photographers that just aren’t up to the standards of 2016 in terms of technology and design. If you’re using one of these themes, this might be your year to upgrade! 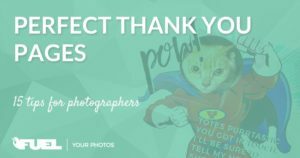 Prophoto was one of the best thing to ever happen to Photography websites. It empowered so many people to move away from their old flash sites, and start utilizing the power of blogging! Not only was Prophoto one of the only options built for photographers, it was built with tons of amazing features. Over the years, Prophoto has updated several times, and up until 2-3 years ago they were keeping up with technology pretty well. Unfortunately, the current themes are not responsive, and the mobile sites instantly make you feel like you’re surfing the web on a Blackberry. If you love the way your mobile site looks with Prophoto, it might still be a legitimate option. But I’ve never heard a single person say they loved their Prophoto mobile site. The company said earlier this year that a responsive version was coming by September, but they’ve been silent on the issue since then. This has left a really bad taste in my mouth for the company (even though I still appreciate all they’ve done for the photography community in the past). Here’s the short of it: the sites are not ready for the future of devices (or even the current of devices). It doesn’t matter how pretty it is, if 50-80% of your traffic can’t use it as intended, its not an effective tool for your business! Photocrati was a great option for people who wanted something responsive, yet simple. My main beef with Photocrati is that I’ve never seen a single site using the Photocrati theme that I would describe as beautiful. They claim to have unlimited options for customization, but all I see are a bunch of sites that look almost identical. Just looking through the demos on their website makes me double check my calendar to make sure I haven’t traveled back to 2011. I can do everything Photocrati can do with Divi, and much, much more. Which themes do you love? Which ones have you tried and hated? Leave me a comment below and I’ll keep this list up to date for 2016! I hear nothing but wonderful things about Genesis. I’ve used a few but for my own website I have enjoyed and use a wordpress theme called Impreza. I have been trying out Rosie theme, though I did look at Divi but couldn’t see it easily looking the way I wanted. How are you liking Rosie? Did you find it easy to use? Your site looks great! What did you find that you couldn’t do with Divi? Thanks for the input! Divi didn’t have a demo site with the exact features set up the way I thought I wanted things. Being very visual and eye candy oriented if it isn’t set up on a demo site I can’t imagine something being possible with a theme. Now I have new priorities, in addition to it looking good I want it to load with a better score with google page speed! Big fan of Graph Paper Press myself, they have tons of options and great pricing plus very customizable for rookie web guys. I’m really liking some of the options I’ve seen with Graph Paper Press as well! I still haven’t played with the options in their themes, I should add that to my list of theme clubs to check out in 2016! Which theme are you using from GPP? 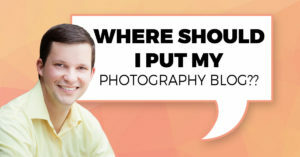 Next PostWhere Should I Put My Photography Blog?